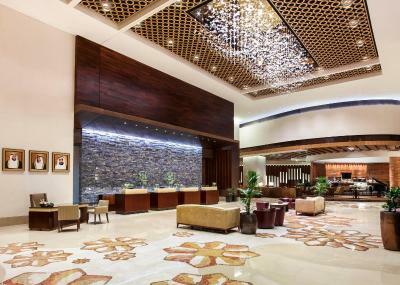 Lock in a great price for Swissôtel Al Ghurair Dubai – rated 8.6 by recent guests! The room is clean, the staffs are friendly special thanks to Mr. Ajit from the concierge who was very helpful during my stay. The location is great and the Breakfast is amazing. Some staff were extremely accommodating and very friendly with our babies. The club room afternoon tea and evening snacks were good and because we were housed on the same floor the access was easy with our babies. Spa was lovely. I really appreciate how did they welcome us nd once they knew its my first time to stay in this hotel they upgraded my reservation with same amount of money.. i really thank full to them .. thnx a lot. I like every thing in the hotel . Also I like to thank Rita at the executive lounge she is doing extent job . The experience of most things under the same roof. As a tourist I came to relax and not travel in taxis in the traffic. 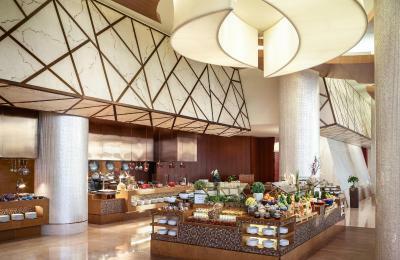 Very clean, the food diversity in breakfast buffet was great. 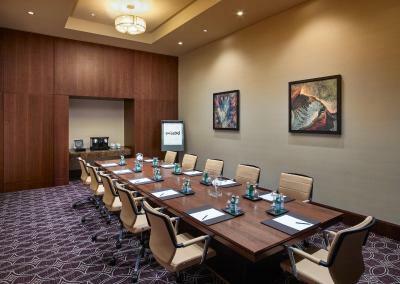 Swissôtel Al Ghurair Dubai This rating is a reflection of how the property compares to the industry standard when it comes to price, facilities and services available. It's based on a self-evaluation by the property. Use this rating to help choose your stay! 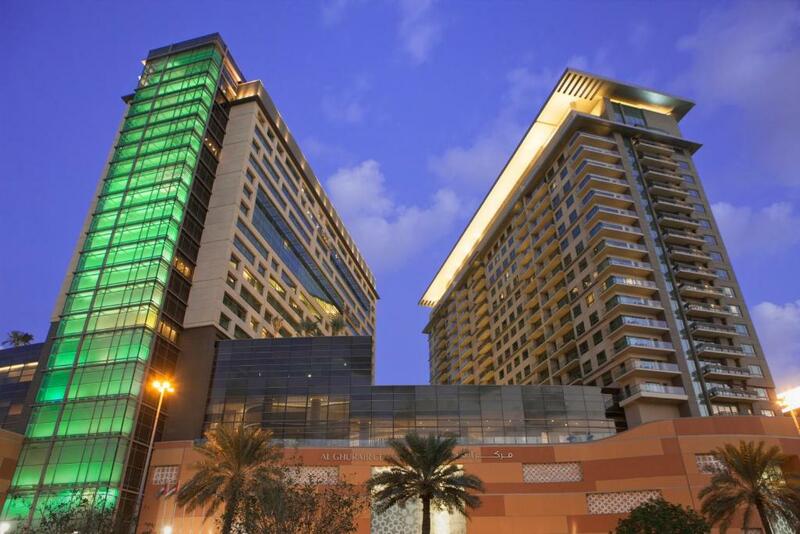 One of our top picks in Dubai.Swissôtel Al Ghurair is a upper upscale property linked to the Al Ghurair Shopping Center, 10 minute drive from Dubai International Airport. 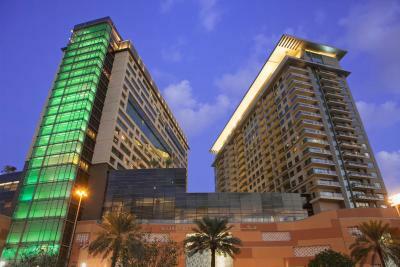 The Swissôtel Al Ghurair is a 428 room and suites property. 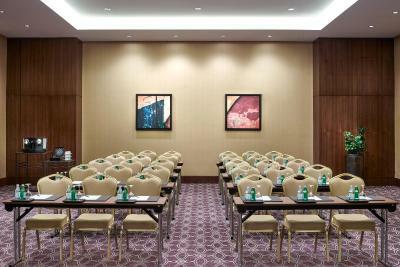 The hotel is located in Deira in the heart of Dubai and within easy reach of major tourist landmarks, leisure destinations and city services. 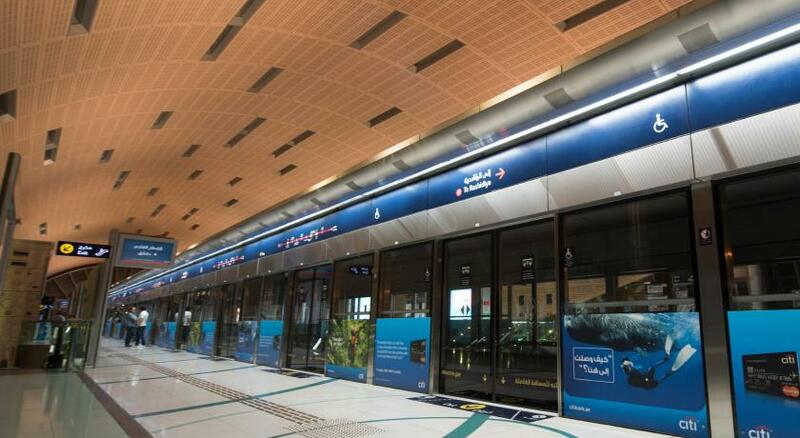 The Swissôtel Al Ghurair is connected to the city’s business and tourist destinations through the Dubai Metro rail network. 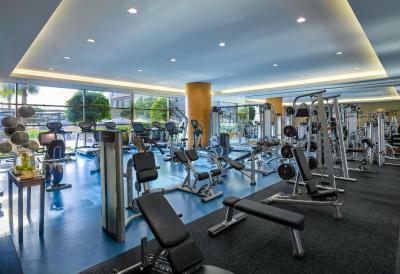 It is a walking distance from the Union Metro station and 3 stations away from Dubai World Trade Center, and 3 stations from the Health Care City. 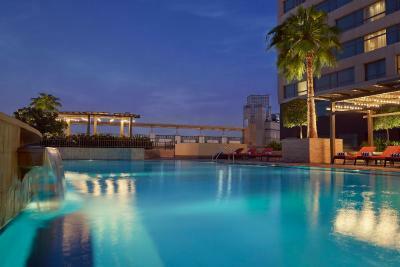 When would you like to stay at Swissôtel Al Ghurair Dubai? 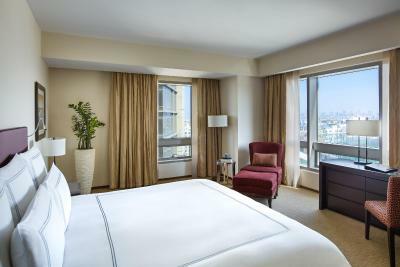 Enjoy a 42 sqm room with a king size bed, a working desk with a stunning city view and experience the ambiance of authentic Arabic hospitality. This spacious, elegantly furnished room features a small seating area with sofa. It includes a satellite TV, a desk and a mini-bar. 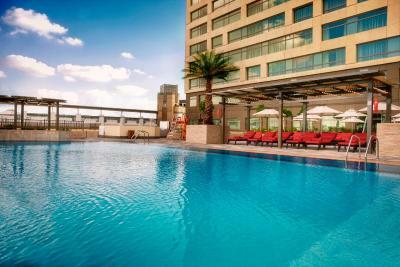 Facilities include an electric kettle,an in-room safe and air-conditioning. 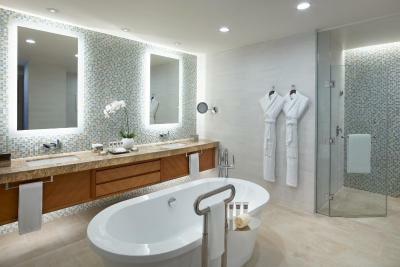 The bathroom is fitted with a bath, a hairdryer and bathrobes. Existing bedding (1 King Size Or 2 single beds). 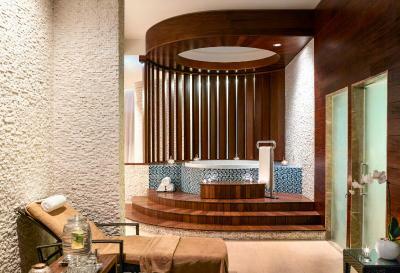 Extra beds are subject to availability and cost AED 150 per night. Relax in one of our luxurious 132 sqm premium suites, elegantly designed with a separate king size bedroom, 2 working desks, dining table for 8. Access to Club Lounge. 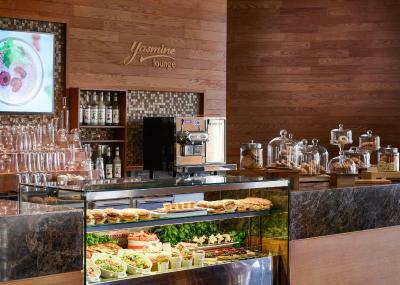 Complimentary breakfast and selected beverages. 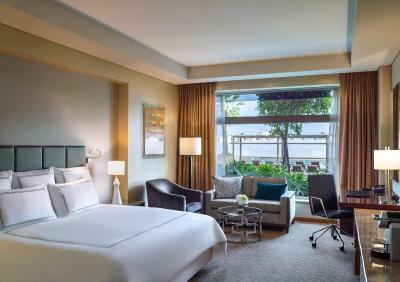 Boasting 112 sqm of comfort and luxury, Deluxe Suites feature one bedroom, spacious living room with dining table, working desk,and balcony,luxurious bathtubs. Access to Club Lounge. Complimentary breakfast and selected beverages. Enjoy an 87 sqm suite with separate living room, king size bed, 2 working desks and two bathrooms which feature a bathtub and walk in shower. Access to Club Lounge. Complimentary breakfast and selected beverages. 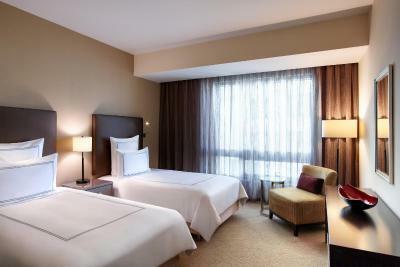 These 51 sqm spacious rooms are elegantly furnished and bedrooms feature comfortable sofa and arm chair. 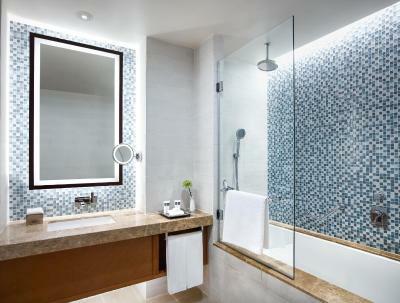 Premium rooms come with king size beds, writing desk and bathroom with bathtub. 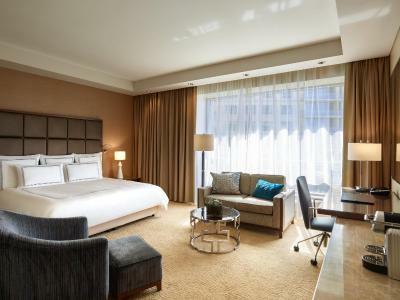 Enjoy a 42 sqm room with a king size bed, a working desk with a stunning city view and experience the ambiance of authentic Arabic hospitality. 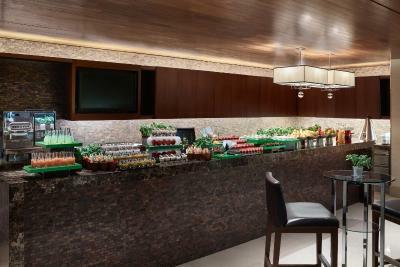 Access to Club Lounge with complimentary breakfast and selected beverages. 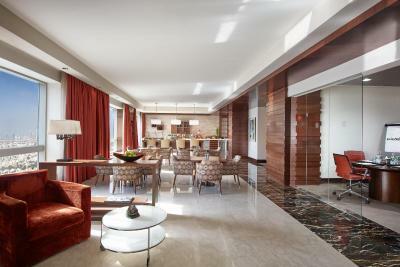 Featuring an elegant and modern décor, this air-conditioned room offers a small seating area with sofa. It includes a satellite TV, a wardrobe and a mini-bar. 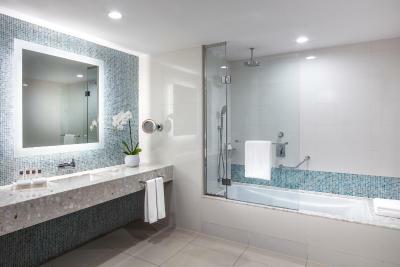 The private bathroom is equipped with a bath, hairdryer and free toiletries. Featuring a modern décor and warm colors, this air-conditioned room is furnished with carpeted floors and features a garden or creek view. It includes a satellite TV, a sofa and a dining area. It also has a wardrobe and a mini-bar. 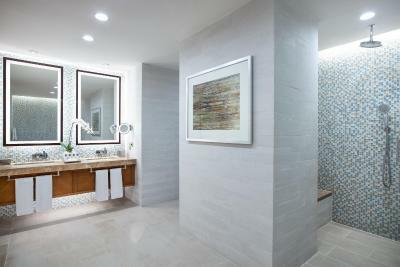 The private bathroom comes with a bath and offers a hairdryer and free toiletries. 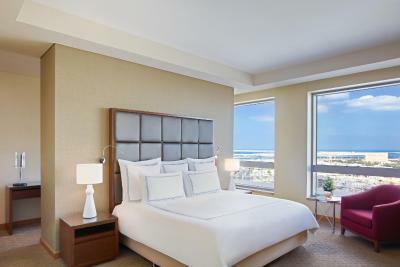 Featuring a modern décor and warm colors, this air-conditioned room is furnished with carpeted floors and features a view. It includes a satellite TV, a wardrobe and a mini-bar. 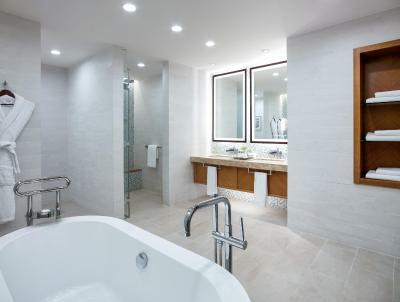 The private bathroom comes with a bath and offers a hairdryer and free toiletries. Enjoy a 48 sqm suite with separate living room with a dining table. A king size bed with a separate twin bedroom, a fully equipped kitchenette, writing desk, 3 bathrooms with 2 bathtubs, a balcony with 2 chairs and coffee table. 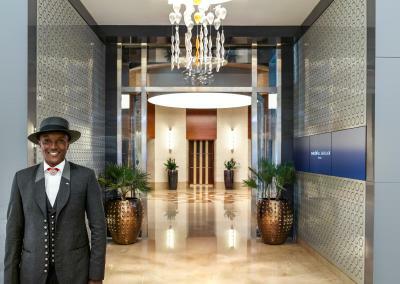 Swissôtel Al Ghurair is in the heart of Deira’s thriving business and leisure district, connected to the Al Ghurair Mall. The hotel is within easy reach of major tourist landmarks, leisure destinations and city services, a 5-minute drive from Dubai International Airport and few minutes walk from Union Metro Station. 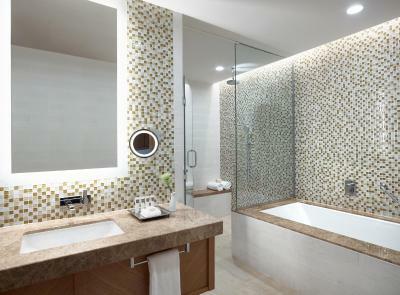 The 5-star luxury property comprises of 428 rooms and suites, all tastefully furnished and fitted with the latest amenities such as high speed wireless internet, multi-channel satellite television and IDD telephone lines. 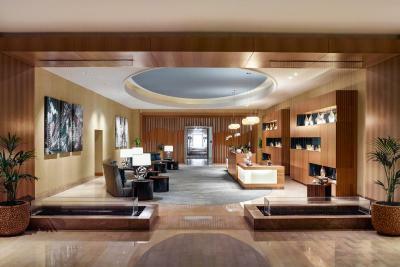 It also offers an Executive Club Lounge on the 18th floor which provides an array of additional benefits to club guests. 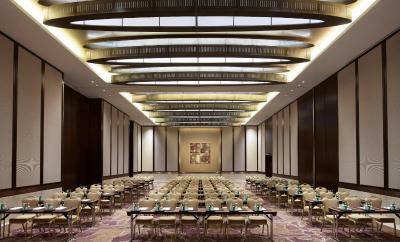 Our state-of-the-art conference and banqueting services provide a fine venue for meetings, events and celebrations and Swissôtel Spa & Sport facilities is the perfect choice to unwind, relax and workout. 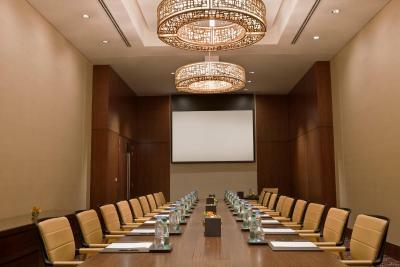 House Rules Swissôtel Al Ghurair Dubai takes special requests – add in the next step! All children under 12 years are charged AED 157 per night for extra beds. 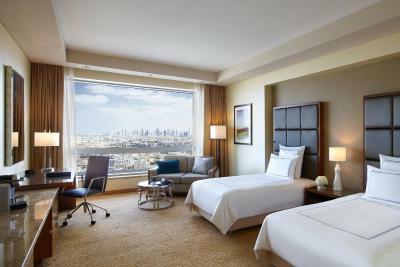 Any additional older children or adults are charged AED 157 per night for extra beds. 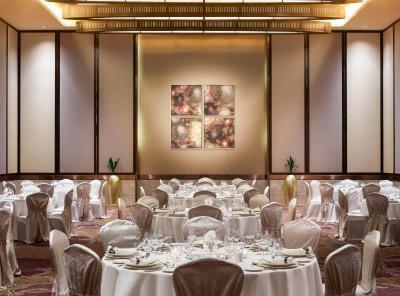 Swissôtel Al Ghurair Dubai accepts these cards and reserves the right to temporarily hold an amount prior to arrival. 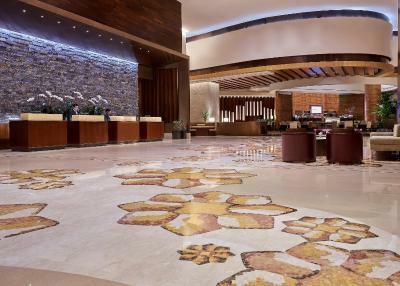 Please note that extra beds are subject to availability and cost AED 157 per night. I did not have breakfast at the location because I'm not a breakfast person. 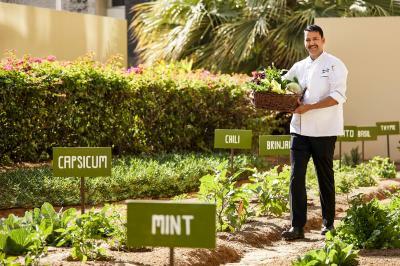 looking at the variety of food they have, the breakfast should be a good option for a lot of people. 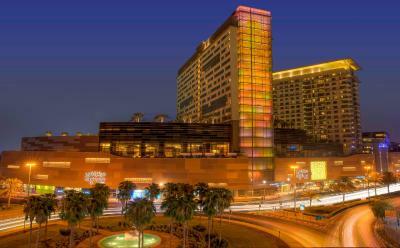 The staffs are so friendly and helpful.This is the most impressive part during the stay. The bed and pillows are also very comfortable. Metro station is just in 5min walk distance. The line can directly get you to the shopping mall. Otherwise take a taxi and in 10 minutes you are in the souk and take a boat to the opposite district. The shopping mall downstairs is life saver. You will get anything needed for living. The pool and spa area could be a bit more spacious. Breakfast is somewhat crowded during peak times. Very kind staff Good location Very clean Very child friendly Very good value for money. 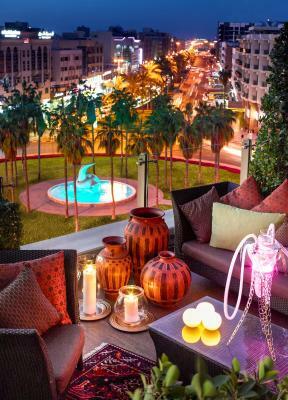 Possibly one of the finest hotel to stay in Deira area. 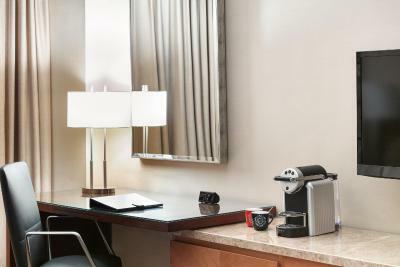 Spacious and well-maintained room, in-room Nespresso machines, nice breakfast buffet, helpful and friendly staff. 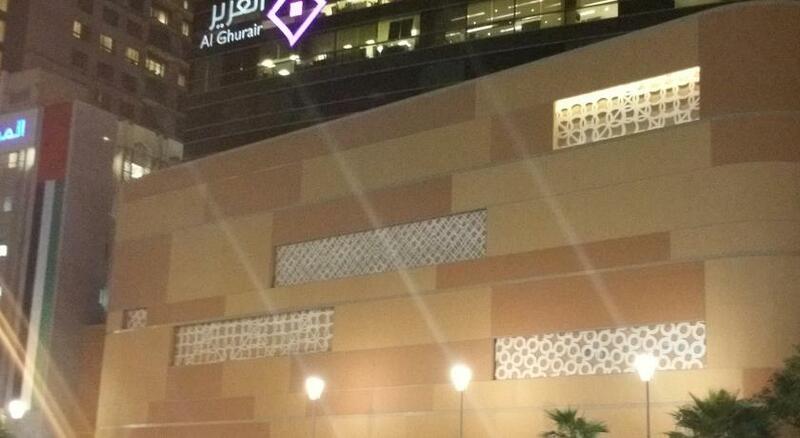 Attached to Al Ghurair Shopping Center, diverse restaurant-cafe options are available. They alarm in the middle of the night and tell us to leave the hotel immediately.. im so nervous and when we go down to the lobby they told us its just a mistake!!!!! Thats how you treat your guess?? ?